More agencies and businesses now outsource SEO than ever before. In 2016, 68 per cent of organisations outsourced their SEO, growing from 67 per cent the previous year. Just under nine in 10 people start the buying process from search engines. MediaPost reports that 72 per cent of enterprise marketers agreed that SEO successfully generated leads and increased their web traffic. So why do agencies and businesses outsource their SEO? When you outsource SEO, you make room for verifiable and measurable marketing outcomes. Quantifiable marketing results give you more control over your ROI. Knowing what campaigns perform the most or the least helps you optimise better. Improved conversion optimisation means income growth. A team of SEO experts would make your website conversion easier, and increase your return on marketing spend. According to Bulldog Reporter, businesses say that SEO generated the most revenue for them in 2016. In fact, 31.6 per cent of respondents say that SEO made the most cash flow for them. SEO companies rely on the success of their clients to prove their worth, so they go the extra mile to get your desired results. These companies have their reputation at stake, and their profit is directly tied to your business. MediaPost says that 57 per cent of businesses agreed that the lack of a dedicated SEO team is the number one reason they haven't enjoyed success. Outsourcing your SEO takes care of this issue. Running your business is overwhelming. Managing accounts, creating an upbeat employee environment, paying salaries, making proposals, and other business commitments can be a lot of work. Taking on the tedium of managing your SEO wouldn't help you much. When you outsource SEO, you automatically give your business the time and attention it needs to succeed. With search engine optimisation off your to-do list, you can focus your energy on running your business. New customers benefit from better service because your attention is on delivering value NOT marketing. Your SEO efforts would only yield useful results if you used appropriate tools and resources. These tools are often very expensive. Using an SEO agency ensures that you cut the cost of using these tools. Most SEO companies have enterprise versions or access to the tools you need. So you can benefit from these tools without overspending from handling SEO in-house. Hiring staff or teaching SEO in-house would cost you money as well. Outsourcing your search engine optimisation needs solves the need for the extra expenses. According to MediaPost, 41 per cent of marketers say that link building is the most challenging part of their SEO. Companies are blending outsourcing with in-house SEO tactics. 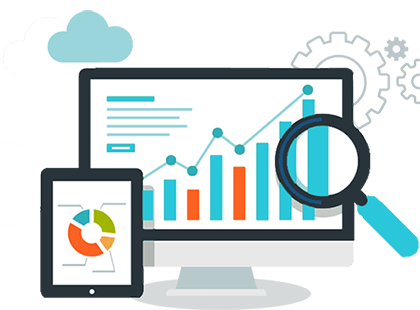 Leveraging on the expertise of an SEO company gives you the opportunity to enjoy the resources and wealth of experience the SEO company offers. Outsourced SEO grants you access to analytics experts, content specialists, an analytics expert, UX experts, design specialists, and more. All those areas contribute to your SEO. Having a robust team that focuses on your SEO ensures an effective game plan. You'd cover all search related marketing without any learning curve. Your SEO strategy would be more informed and intelligent. Your team will hit the road running right from the first day. Outsourcing gives you strategic positioning. It puts your business at the forefront of industry trends that make your marketing out-perform your competitors. Your outsourced SEO team is always looking for ways to improve your marketing and deliver more value to you. So they'd anticipate any technological advances in SEO - for example, Google Voice search. Or changes in algorithms, like Google's Hummingbird, Panda, and Penguin. Keeping tabs on all the complex changes and advancements in SEO can be frustrating. You need a dedicated team of experts to put you ahead of your competitors. Niche marketing trends change. Search engine optimisation experts monitor these changes carefully and adjust your business's SEO strategy from time to time. If you tried handling SEO on your own, you'd regularly miss out on the big things that matter in your niche or industry. Using advanced tools, custom APIs, and resources, experts can spot and capitalise on key industry trends that are still in their early stages. Managing your staff in other areas of your business is plenty of work. You'd probably want to save yourself the time, money, and stress of hiring, training and managing new staff for your SEO needs. Apart from salaries and wages, keeping an in-house SEO team can quickly become expensive. The cost of replacing workers who earn $10 per hour is over $3,000. Managers who earn $40,000 cost more than $8,000 to replace. Senior staff who earns $100,000 a year costs more than $200,000 to replace. In short, maintaining your in-house SEO staff will cost you more than you'd expect. You're better off if you outsource SEO to competent hands. You can enjoy a wide range of benefits when you outsource SEO. Letting the experts handle your SEO increases your marketing ROI and your business profitability. It saves you the time you need to run your business. Instead of struggling with too many things at once, you can focus your energy on what matters the most - your business. An excellent SEO outsourcing service saves you money and maximises your outcome per dollar spent on marketing. You'd be standing on the proverbial shoulder of giants with experts delivering top-notch marketing for you. Trends change. Things change and marketing is never the same. Tactics that worked yesterday may not work today. You need a system that factors these changes into your marketing campaigns. Excellent SEO experts figure out how to leverage trends long before businesses even know that such trends exist. SEO companies remove the need to hire, manage, or fire staff. You'd focus on your business and not managing people. The cost of hiring and maintaining staff is expensive and doesn't guarantee performance. Weblieo is an expert SEO company. If you'd rather have the experts deliver desirable SEO results for you, then you should be talking to Webileo. Click here to get your site's SEO score.